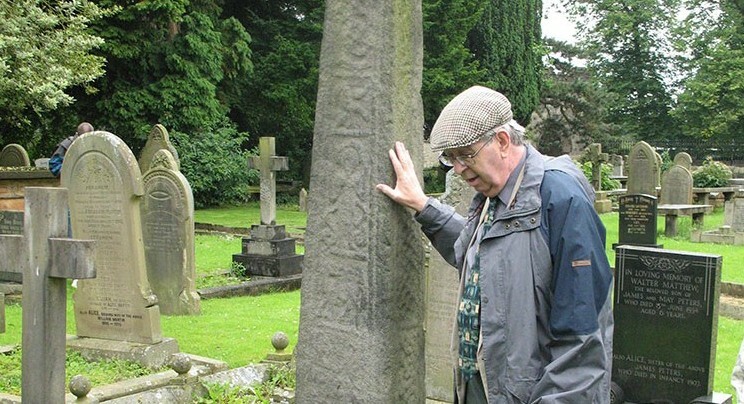 The Lancashire Archaeological Society was founded in 1976. Our first Constitution gives the exact date as the 11th June. Our founder and first Chairman was B.J.N Edwards F.S.A. Ben, pictured above, was the Lancashire County Archaeologist, having been appointed to the post in 1963. Ben also founded the Annual Archaeology Forum at Lancaster University in 1973. The LAS was formed because of Ben’s interest and commitment to the field of archaeology and his feeling that the new ‘Lancashire’ county area created in 1974 needed an archaeological society of its own. This new county archaeological society would provide a focal point for the local archaeological societies and so help to create a new identity for Lancashire’s archaeology. Ben’s friends and acquaintances in archaeology rallied to the support of the new Society, especially by offering lectures for an annual programme. The first meetings were held in the Lancashire Record Office (now Lancashire Archives). The Society quickly developed and provided a platform for lively discussions on archaeological news and issues across the country. For a more detailed account, by Ben’s widow Margaret, of the formation of the LAS click here.